There have been demands within the Congress for a prominent role for 47-year-old Priyanka, Rahul's sister, to revive the Congress in Uttar Pradesh which was a Congress bastion till mid-1980s. NEW DELHI: Priyanka Gandhi Vadra was on Wednesday appointed Congress general secretary for Uttar Pradesh East. The move is seen as a masterstroke reflecting the party's intent to go the whole hog in the politically crucial state. 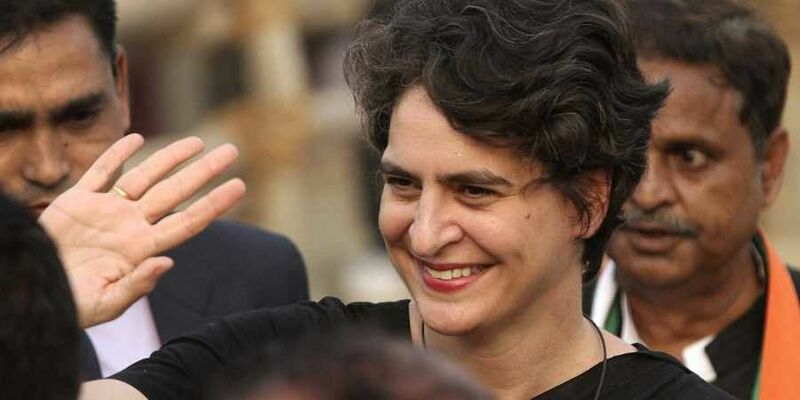 The appointment also marked Priyanka's official entry into politics and is expected to boost the morale of the party workers in the state which sends 80 MPs to Lok Sabha. There have been demands within the Congress for a prominent role for 47-year-old Priyanka, Rahul's sister, to revive the Congress in Uttar Pradesh which was a Congress bastion till the mid-1980s. Priyanka, a mother of two and wife of Robert Vadra, has always confined her role in overseeing campaigning in Amethi and Raebareli, the constituencies of Rahul and mother Sonia Gandhi respectively. After the SP and BSP kept the Congress out of their anti-BJP alliance for the Lok Sabha polls in the state, the party announced that it will contest all 80 seats in the state. At present, Congress has only two Lok Sabha seats of Amethi and Raebareli from Uttar Pradesh. The party had joined hands with the SP in the assembly elections in 2017, but that alliance lost to the BJP. Congress won only seven seats in the 403-member assembly. In 2014 Lok Sabha polls, BJP had won 71 seats while its ally Apna Dal came out victorious in two seats. The NDA had a vote share of around 42 per cent in 2014 polls. The Congress also replaced Ashok Gehlot as AICC general secretary (organisation) with K C Venugopal. Jyotiraditya Scindia was appointed AICC general secretary for UP West. The leader of the Opposition in Rajya Sabha Ghulam Nabi Azad was appointed AICC general secretary in charge of Haryana, the party said. Congress said Priyanka will take over as AICC general secretary for UP East in the first week of February.